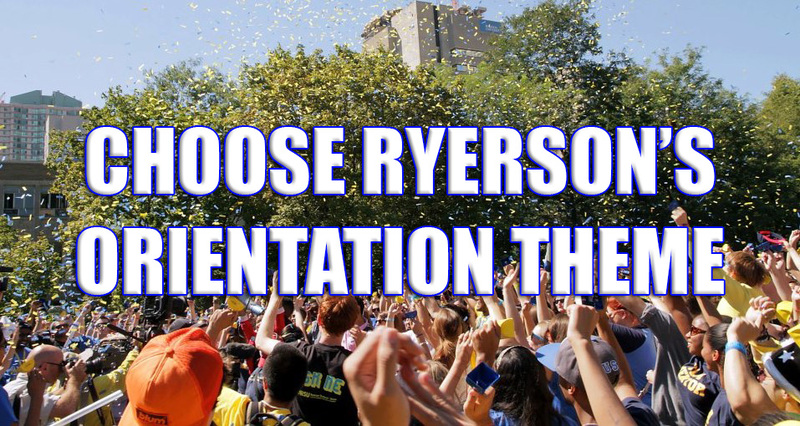 It’s time to choose the theme for Orientation Week 2014, so we’re putting it in your hands, Ryerson. We have to show incoming students what being a Ryerson student really means and no one is better qualified for that than YOU! So, we’re asking you to help us create the theme. Themes should follow the 3 Cs: Catchy, Clear & Concise. Themes should easily translate into something visual for this year’s logo. Themes should (like Orientation Week itself) welcome new students, help them understand important aspects of starting their time at Ryerson, and let them know there is support all around as they make the transition to this awesome place. CAN YOU BEAT THE LAST 3 YEARS? !